40% faster than the popular Dareway, Dareway Revolution is sure to deliver non-stop driving fun! 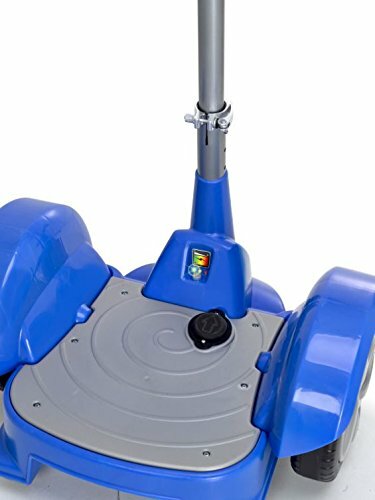 The Feber Dareway Revolution Vehicle is a miniature copycat of the popular Segway, but looks are all it has in common with the Segway. This child’s toy is made of plastic and reminds me of those miniature cars made by a certain power vehicle company. The Feber Dareway Revolution Vehicle is a two-wheeled, stand-on, motorized vehicle that looks similar to a Segway transport vehicle. Made entirely of plastic, the Feber Dareway is a low quality knock-off geared towards children. 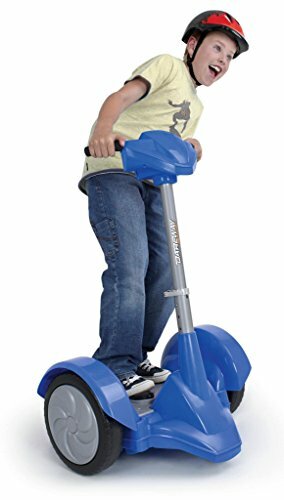 There have even been commercials on popular children’s television stations urging kids to ask for one of these little scooters. The Feber Dareway is marketed by Feber Toys, the same company that brought us a battery operated Ferrari and Range Rover, among others. These miniature vehicles are popular with children and the Dareway is likely to be just as popular. Designed for use by kids 6-10, with a weight limit of less than 100 pounds, this toy is visually appealing and offers some cool features. The Dareway is powered by two motors that control the large, plastic wheels. The wheels can turn independently of one another, allowing the rider to make left and right turns, and spin in circles. These motions are controlled by push button controls on the handle grips. Forward movement is controlled by a foot operated accelerator pedal. To stop, remove the foot from the accelerator pedal. To reverse, press the left and right turn buttons at the same time. The Dareway has an LED battery life display built in to show riders when recharging is necessary. The green/yellow/red display is easy for young children to view and understand. Recharging takes approximately ten hours, using a standard household outlet. A feature that will appeal to older children is the built-in MP 3 jack and stereo output speakers built into the frame of the Dareway. This lets kids listen to music as they cruise, something not previously available on 12 v battery operated ride-on toys. Kids can also customize the appearance of their Dareway Revolution vehicle by choosing from one of three colors- grey, pink, or blue, and applying the enclosed decals-stickers kids can put on the plastic case of the toy. The Feber company offers a one year warranty on the components of the toy, and a six month warranty on battery failure. Kids love the mobility provided by ride on toys and this one is no different. 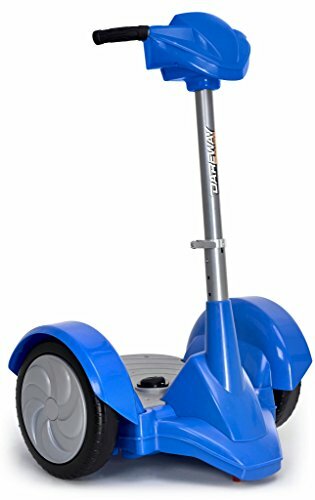 The fact that it looks like a miniature Segway gets “my kid loves it” reviews from parents on the Toys R Us website. 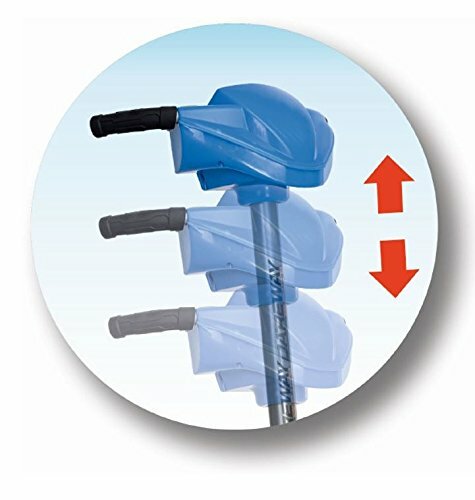 The adjustable handlebar is a great addition to help the toy grow with your child, and is easily moved up or down by removing just one screw. The trusted reputation of the Feber company’s ride on toys guarantee a safe, well tested, high quality product. Their battery operated miniature vehicles have been around for a long time and continue to be best sellers among parents. The Dareway is easy to operate, even for children as young as 6. Step on the pedal to go forward. Release the pedal to stop. The left and right turn buttons are large and easy to press. 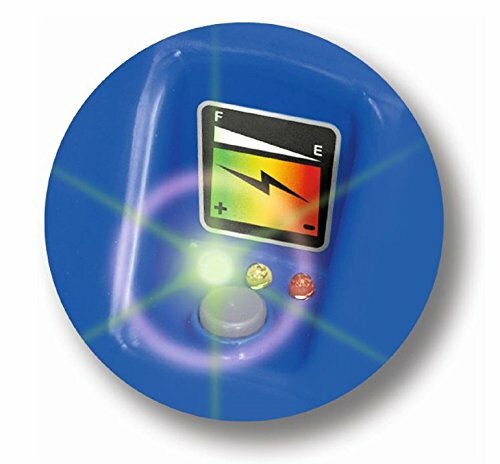 The 12 volt battery easily recharges, even though accessing the battery is difficult. The battery also takes 10 hours to recharge, a very long time; especially for a child. The addition of the sound system and customizing decals let your child truly personalize their Dareway. Additionally, there are three color options available. The biggest problem with this toy is just that, it is a toy meant for children. Anybody buying one of these for adult use will be very disappointed. The maximum rider weight is 89 pounds, and the top speed is 4.5 mph. The battery takes 10 hours to recharge, and only stays charged for about an hour. One thing parents won’t like is the amount of assembly required to get the Dareway ready to ride. Several components need to be attached, and even though the direction say you can use a screwdriver, you may find yourself needing a drill or screw gun. Recharging the battery is a pain. You have to turn the machine on its side or upside down, remove a cover, and plug in the charger. Remember that charging takes 10 hours, also. Kids aren’t going to want to wait overnight for a few minutes of play time. After reading many reviews, I have discovered many parents concerned about falls and injuries. The forward movement, although slow, is somewhat abrupt and jerky. Also, the unit turns very quickly and children have fallen off while turning. One last weakness would be the use of hard plastic wheels. Even though they have a tread pattern imprinted on them, they really don’t get any traction and won’t really travel well on any surface other than smooth concrete. For a child's toy, the Feber Dareway Revolution Vehicle is kind of cool. I could see kids having a good time on it. It is made by an established company using technology they have used before. As far as 12 V battery operated mini-vehicles go, this one is unusual. That is why kids will like it. It has cool features like decals and MP 3 speakers. It scoots along at around 4 miles per hour, which is not fast to an adult, but would be thrilling for a little kid. Even though it looks like fun, it could be dangerous to operate if not used correctly. I would make sure the kid is wearing a helmet and elbow pads, just in case of a fall.